Posted in Cover Crop Blend, Forage Radish, Hairy Vetch, Lupin, Uncategorized, Winter Rye. 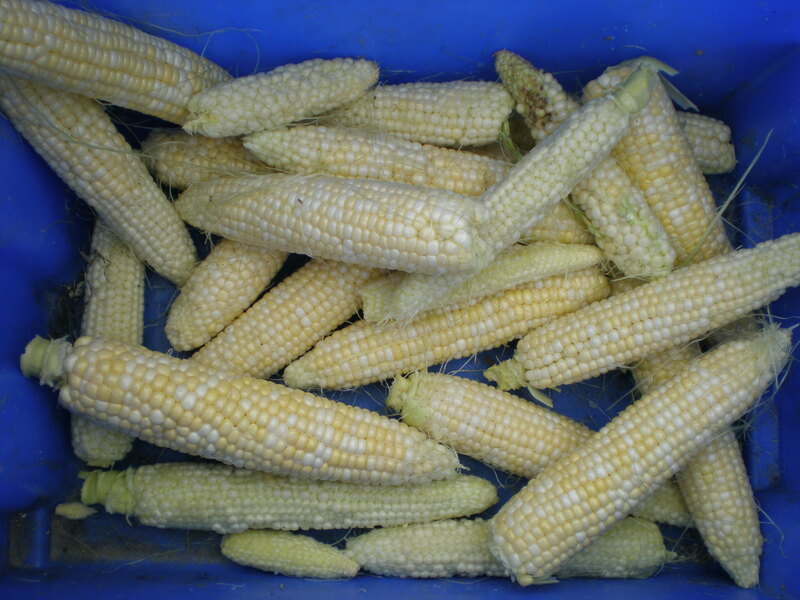 This weekend, a total of 4 hours was spent measuring the height of the corn in all 24 plots and another 6 hours harvesting, shucking, weighing and measuring the sugar content of 7 of the plots. 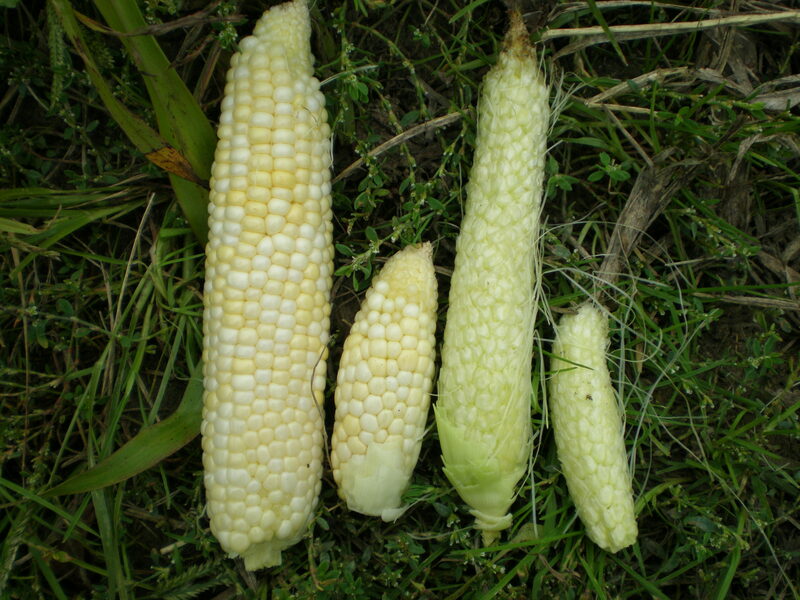 Variety in Corn Size and Quality. The Brix is an optical tool used to measure the percentage of sugar in a liquid. Hence, squeezing the juice out onto the cover. 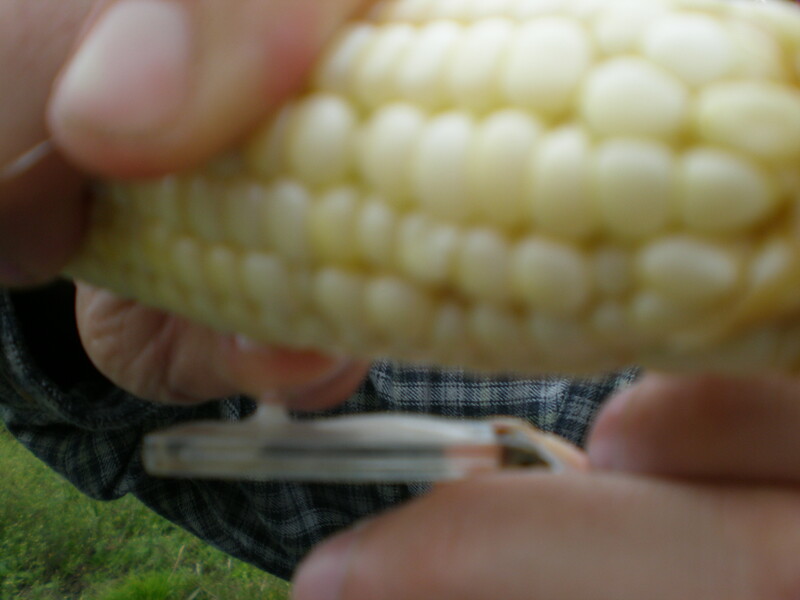 Posted in Corn, Experimental Design. The field season is wrapping up. This week soil samples and penetrometer readings were taken at Adam’s Berry Farm. A penetrometer measures resistance as it is pushed down. 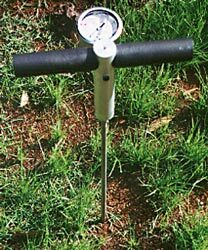 It is used to indicate levels of compaction in the soil. Without doing a statistical analysis, at first glance the numbers trend towards higher levels of compaction in areas with forage radish. 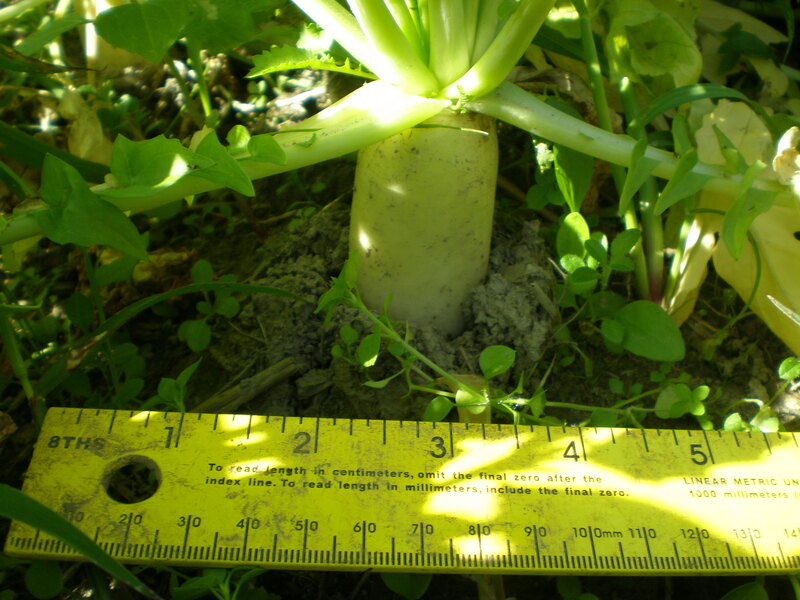 Take my query with a grain of salt, perhaps the penetrometer is reading increased compaction in the forage radish plots because the large diameter of the root is pushing soil horizontally and thus causing compaction. 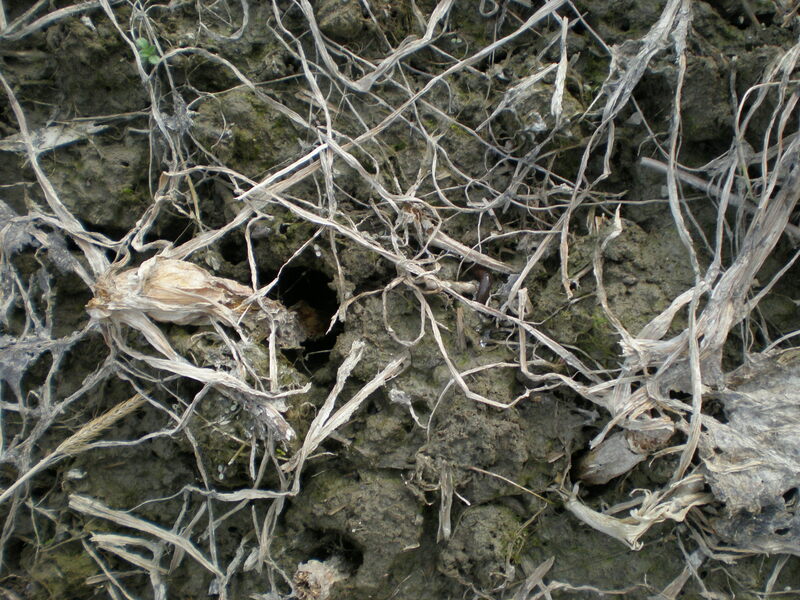 A plethora of research has shown that forage radish can increase infiltration after decomposition. 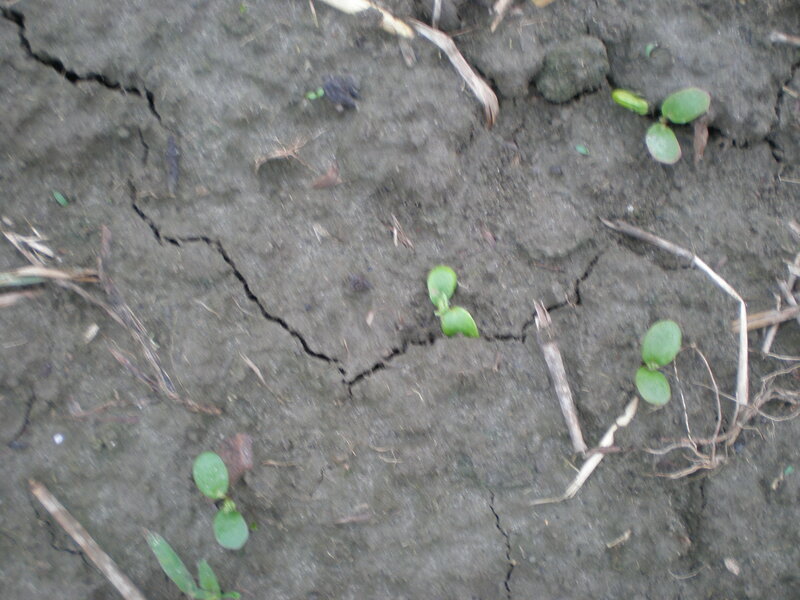 However, in the interim it may cause a loss of micro and macro pores in the soil and increase compaction. There are six plots. The farthest three are difficult to see in this picture. 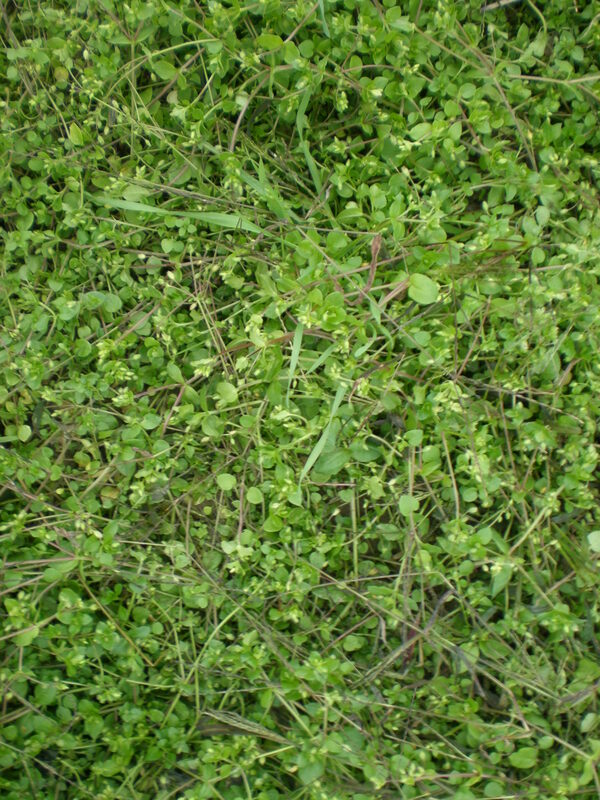 The bright green on the right is forage radish, the middle darker green is winter rye, and the bright green is a mix of rye, vetch, forage radish, and lupine. Adam’s Berry Farm, October 3, 2013. 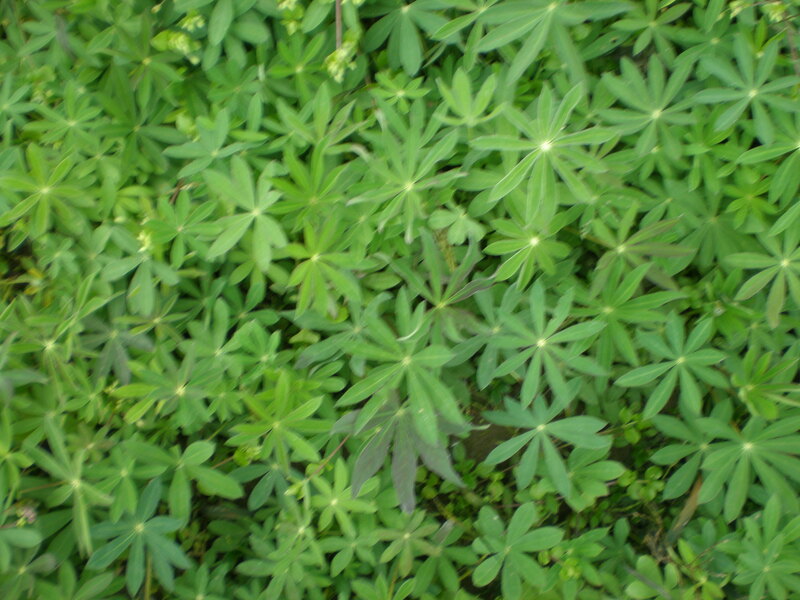 The lupine is farming a low-lying canopy. 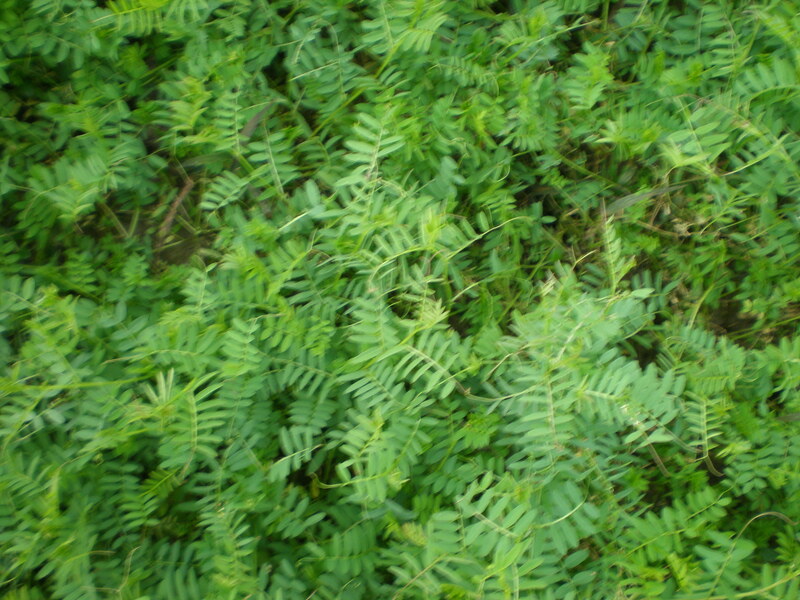 The stand if vetch is filling in slowly. 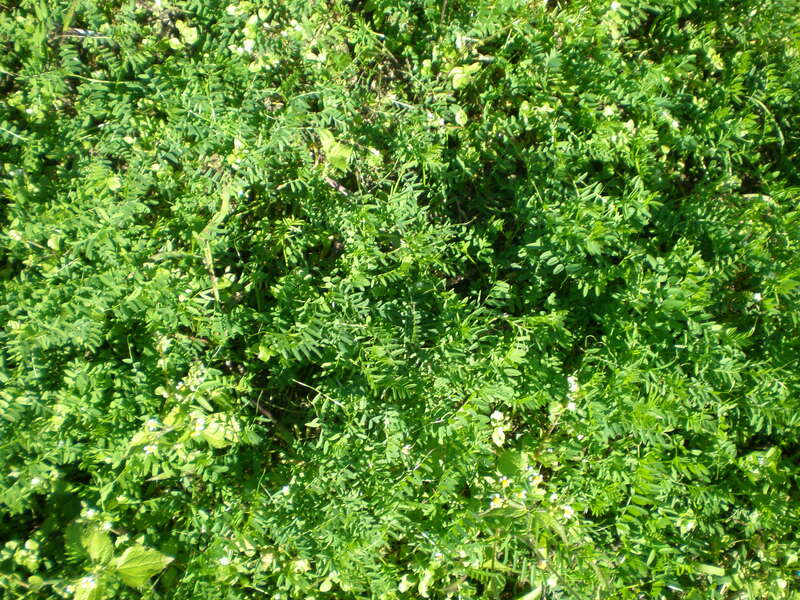 At about 2.5 inches, the vetch is nearly as high as the lupine. The rye comes in second to forage radish for tallest of the six plots. 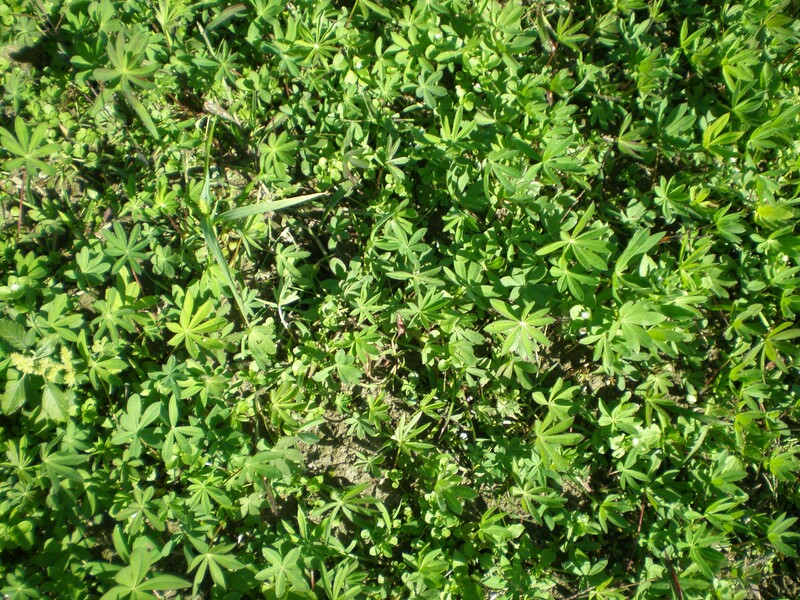 One lone lupine is visible and slight numbers of vetch and rye are present. 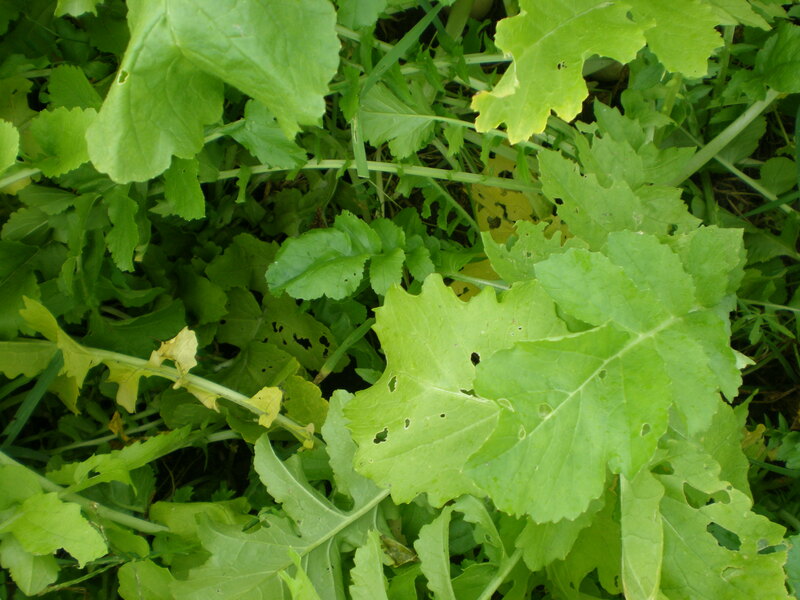 The mixed plot is dominated by forage radish. I am curious to see if the vetch and rye accelerate their growth as frost damage reduces the biomass of the forage radish. 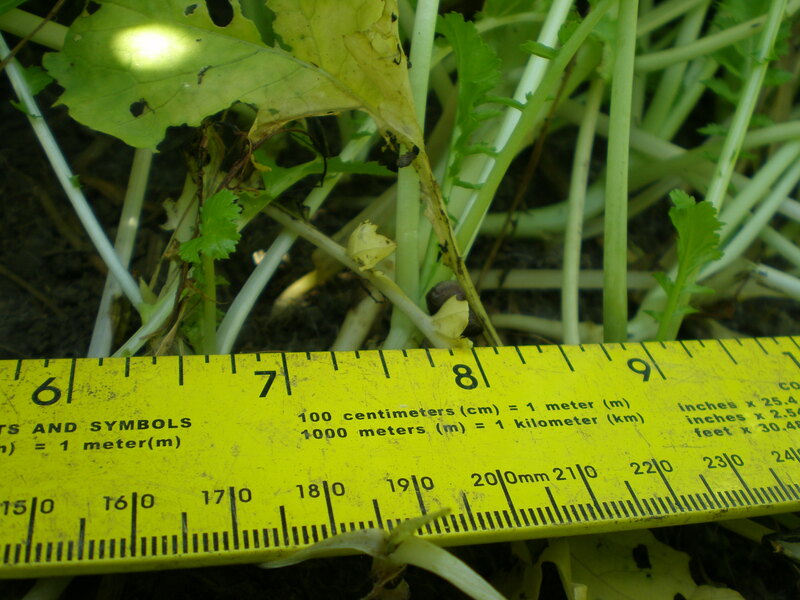 A few forage radishes on the edge of the forage radish and mix plots were quite large. 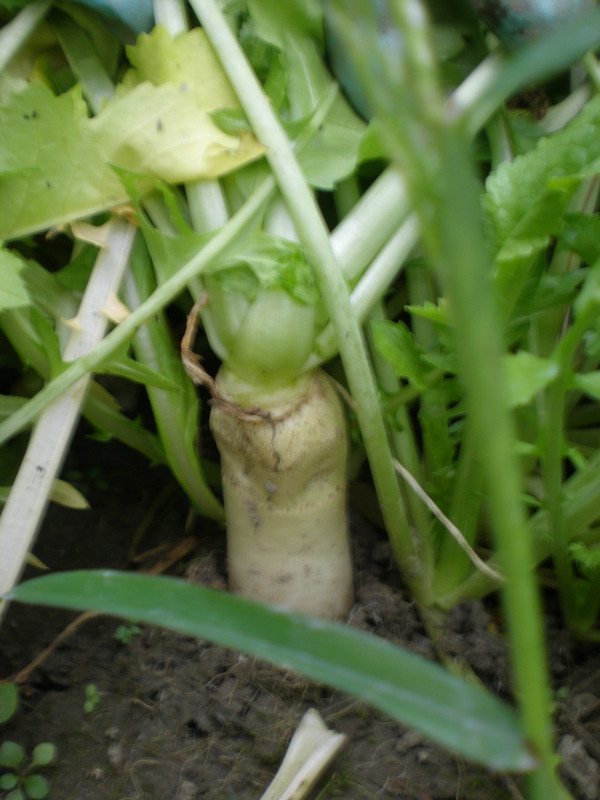 Large Forage Radish Up Close. 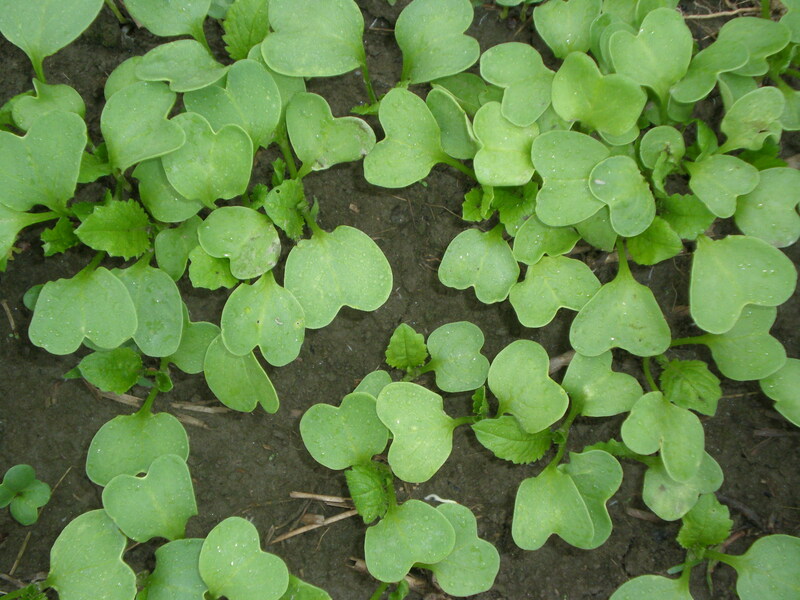 The forage radish in the middle of the plot was quite small due to competition for resources. 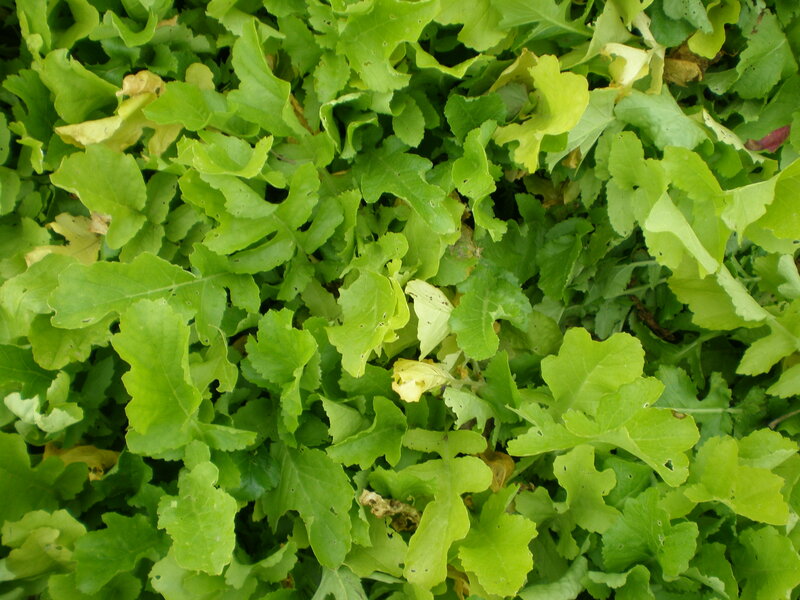 Small Forage Radish Up Close. 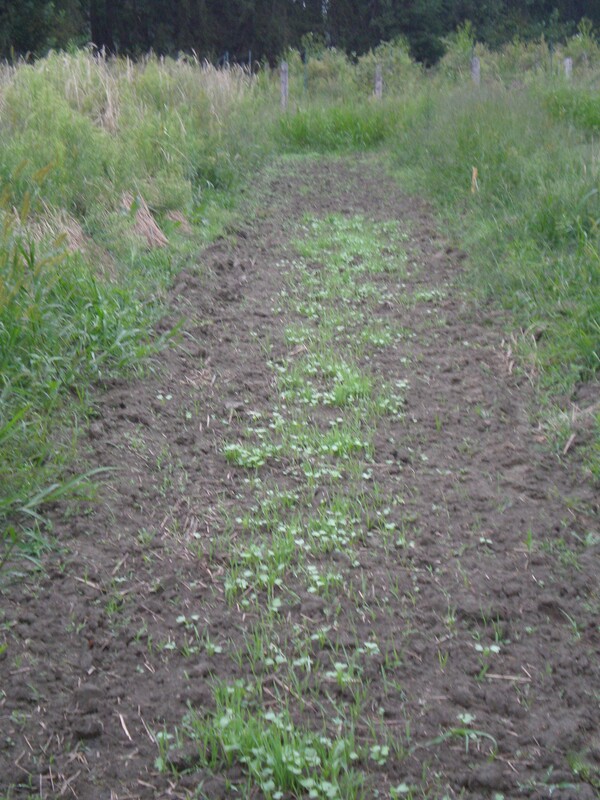 The fallow plot is overtaken with chickweed. Posted in Cover Crop Blend, Forage Radish, Hairy Vetch, Lupin, Winter Rye. Some preliminary results show correlations with iron, manganese, and sulfur, but not phosphorus of four sampling dates at The Intervale Community Farm. The Y axis is the p-value. There is better statistical significance the closer the point is to zero. For example, sulfur shows a higher correlation with length of water saturation/elevation and less correlation in-between dates of high saturation. Iron is an even more extreme example of this. There is almost no iron/elevation relationship during sampling dates that are not after saturation. 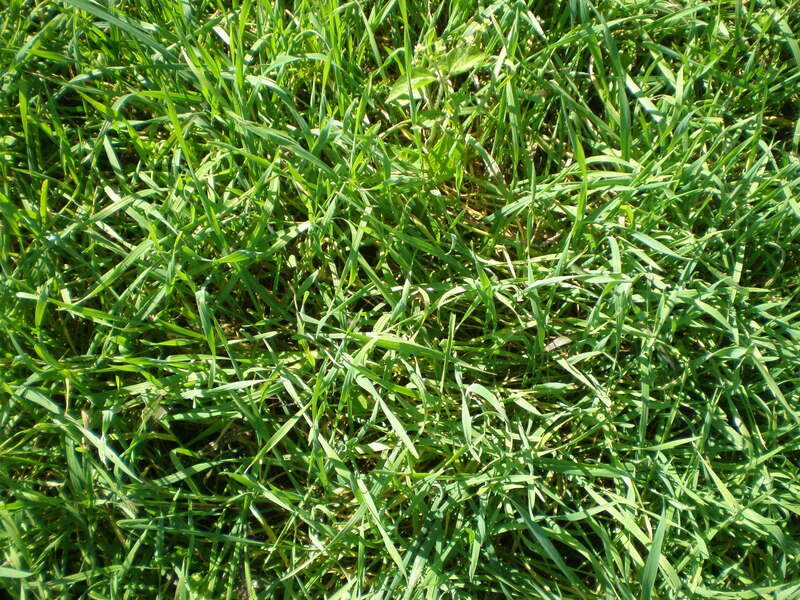 This may be due to field management practices like discing that redistribute nutrients evenly. On the other hand, manganese is the most muted form of this trend. Phosphorus tells a surprising story. 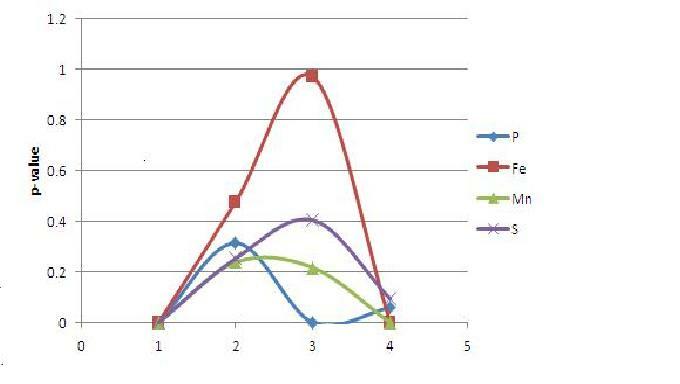 Considering the relationship between phosphorus and iron, I would expect phosphorus to follow a similar trend to the other nutrients included on the graph. 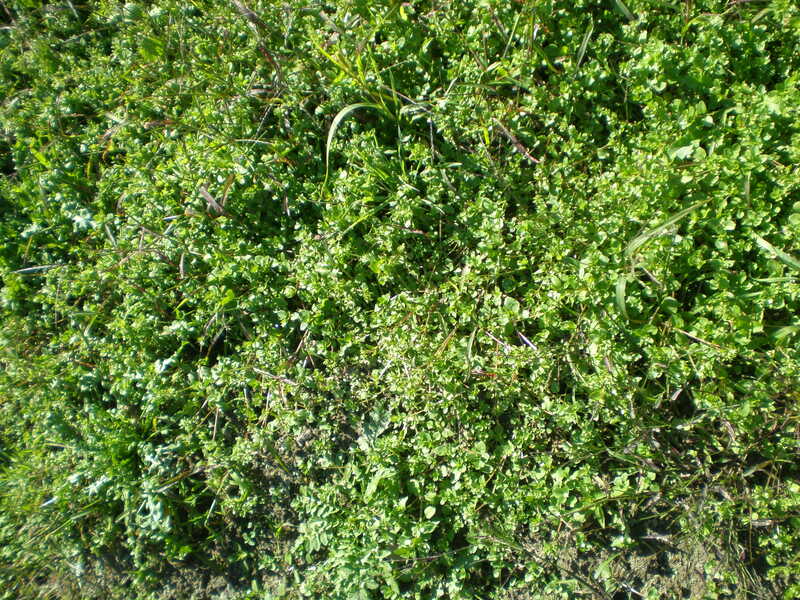 One possible reason may be that vegetation is larger at higher elevations given more favorable growing circumstances (less saturation=more aeration=less environmental stress) and since the crops are larger up-slope, they seek out and acquire more phosphorus, encouraging a relationship between elevation unrelated to length of saturation and phosphorus in soil. 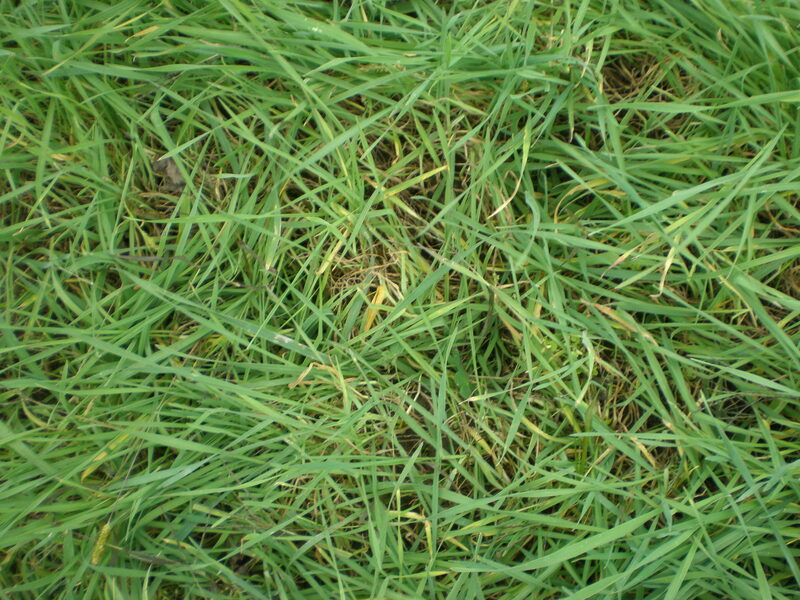 Posted in Field Day, Flooding, Iron, Nutrient Cycling, Phosphorus, UVM, Winter Rye. 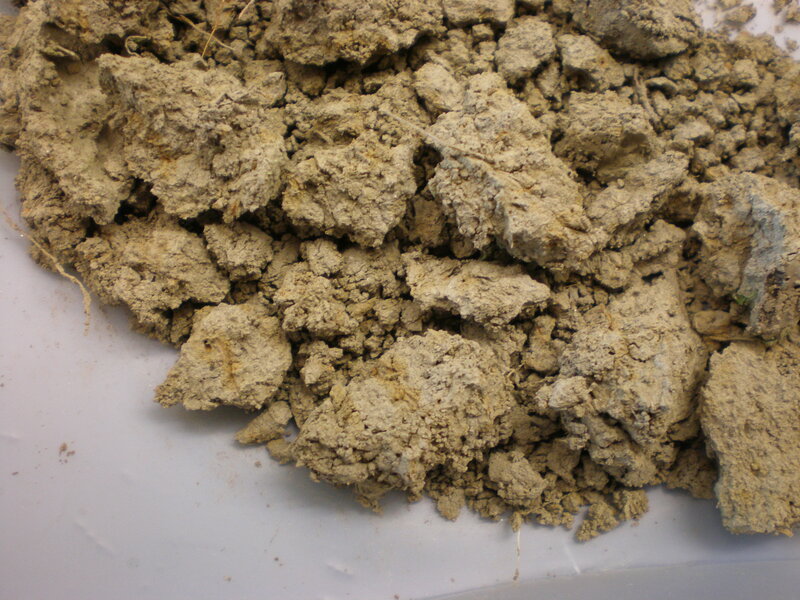 Picture of soil sample taken after drying in the oven at 70°C overnight. Orange pigment also visible in the field. 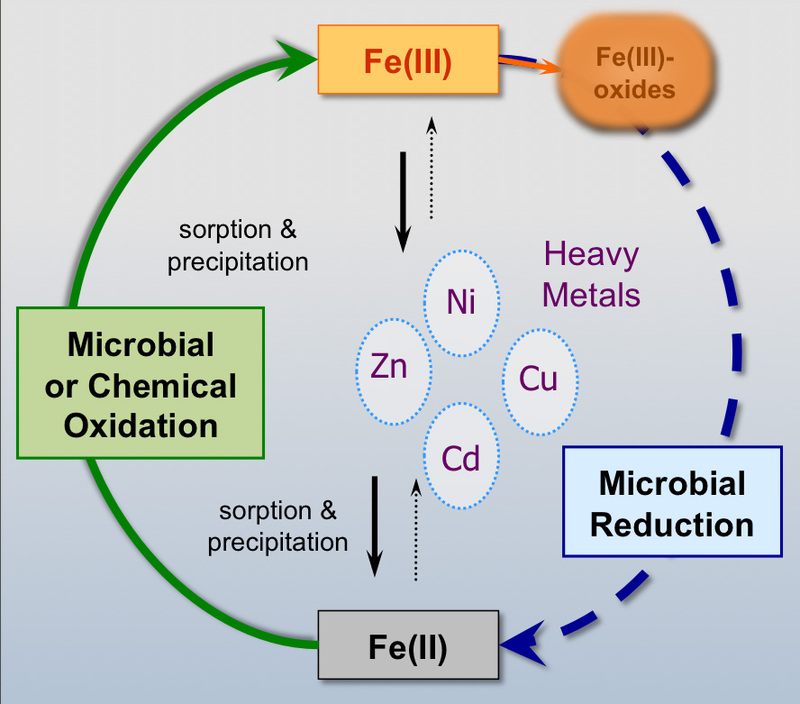 Insoluble ferric oxide can be reduced to soluble ferrous oxide by microorganisms when soils are water-logged and micro-organisms are looking for a source of oxygen. *Note that Fe2O3 is Iron(III) oxide or Fe(III). The “(III)” is indicative of the number of oxygen molecules. Likewise the “(II)” in Iron(II) hydroxide relates to the number of oxygen molecules. This process happens in a larger context. 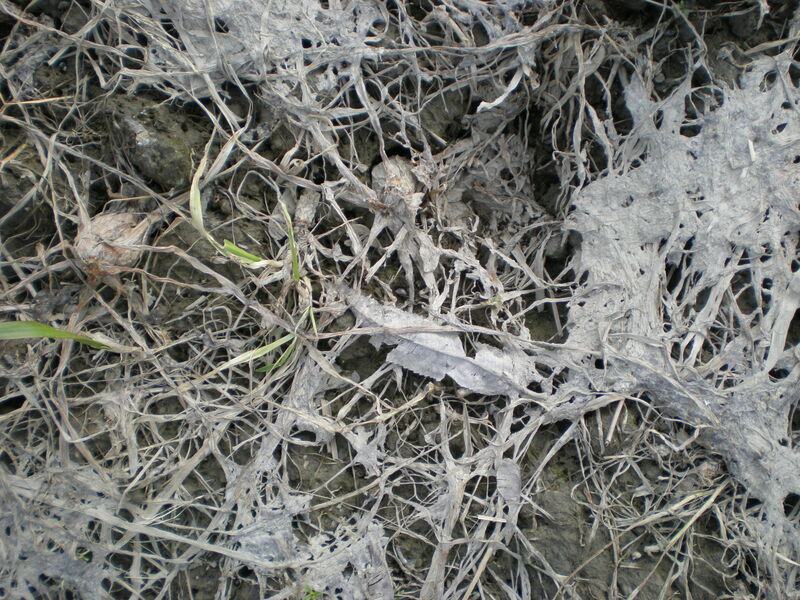 Soil micro-organisms have a preferred order of oxygen source. This is the order from highest to lowest preference: Oxygen->Nitrogen->Manganese->Iron->Sulfur->Carbon. I can remember this order of preference with the mnemonic device: Only Nadia MaNages FEral Squirrels Casually. 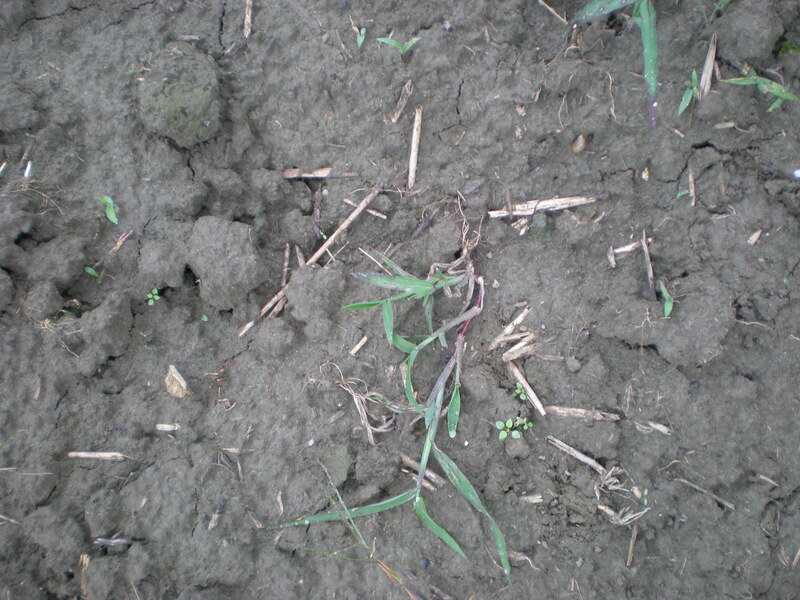 At any rate, iron concentrations can be indicative of redoximorphic features, which are evidence of either poorly drained soils or frequently water logged soils. So, after the water recedes (or dries), and oxygen is introduced back into the soil, the soluble iron can return to iron oxide. You can find more information about iron in the ecosystem at large here: Earth’s Ferrous Wheel. This is a great visual representation of the iron cycle. Please note that the following picture includes uptake of heavy metals not addressed in the blog post. Posted in Iron, Nutrient Cycling. 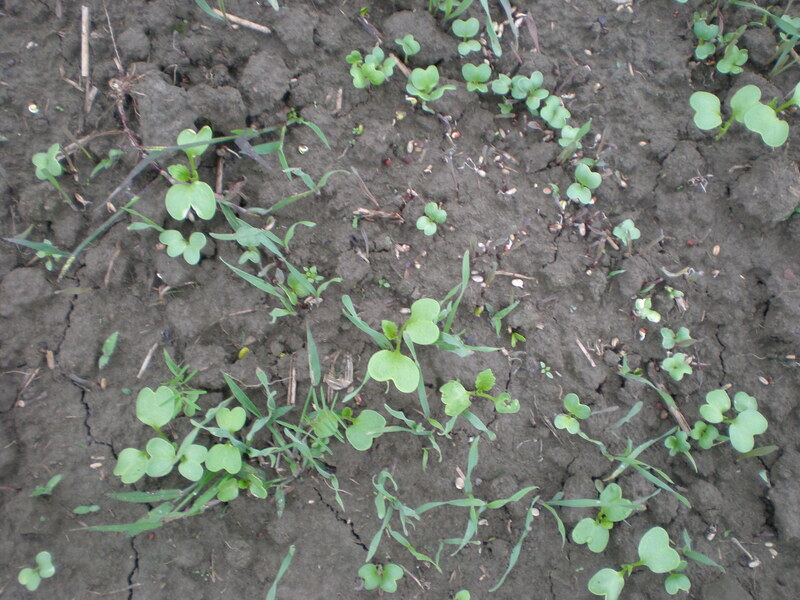 In hopes of bringing a better field day and collecting more data on how cover crops effect soils, Adam’s Berry Farm was seeded 12 days ago with Winter Rye, Hairy Vetch, Forage Radish, Perennial Lupine, and a mix of all four. Here is what they looked like as of yesterday, August 27th. 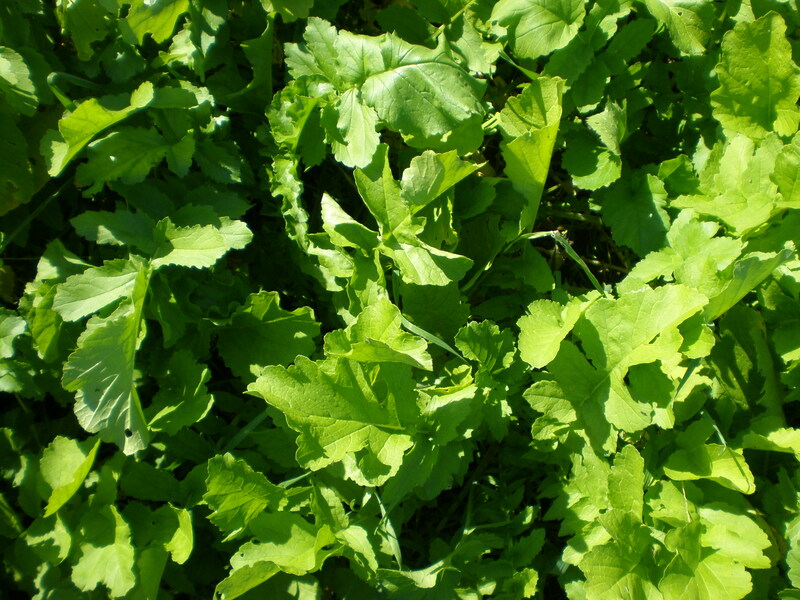 Compare the forage radish and hairy vetch plots. They both have the same seeding rate at 10lb/acre, but have very different coverage so far. 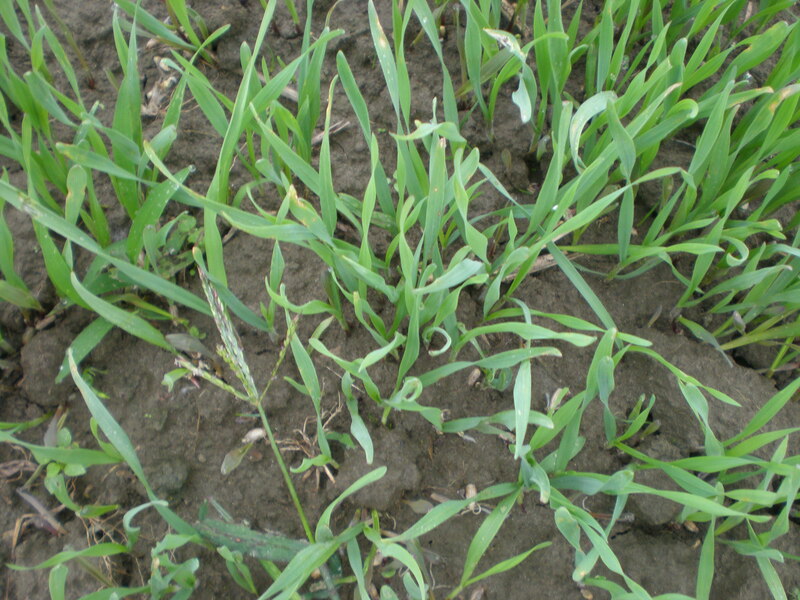 The winter rye is nearly 3 inches tall. 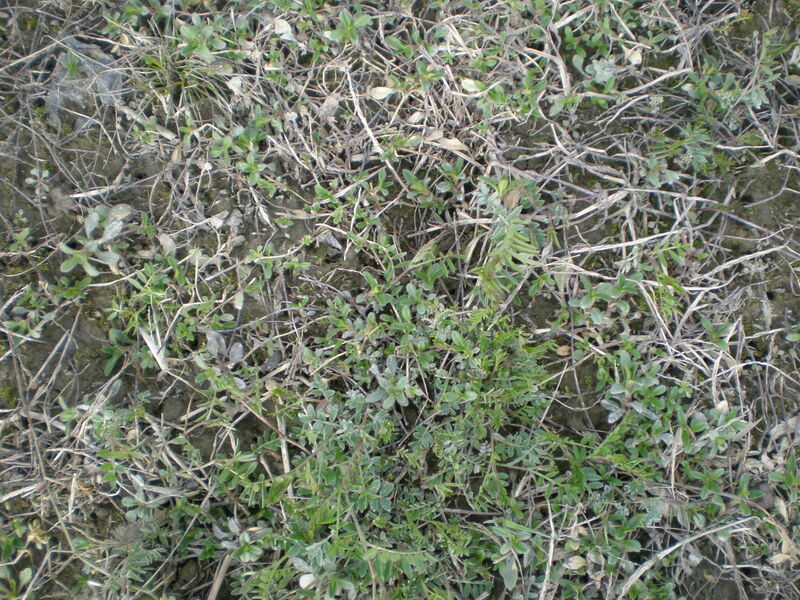 So far there has been poor emergence of hairy vetch. The forage radish has the most impressive stand yet. 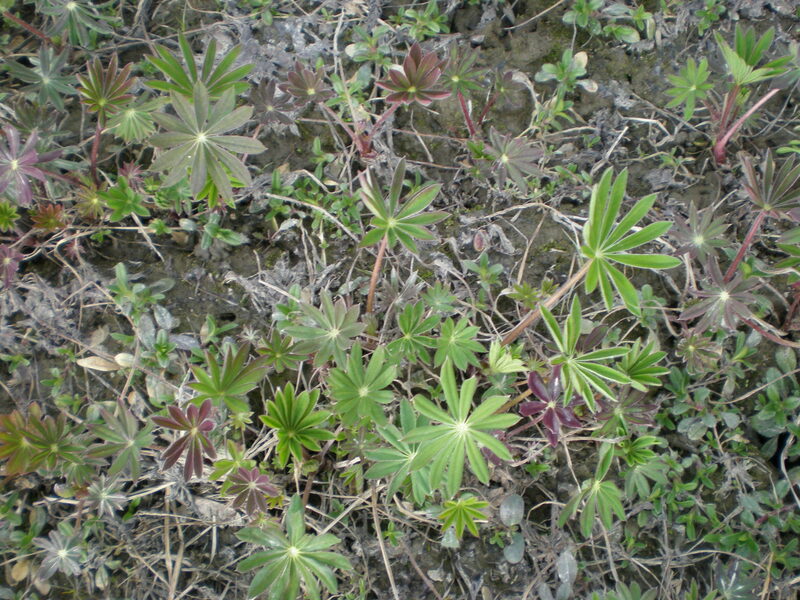 Slowly, but surely this perennial lupine will grow to have good coverage. 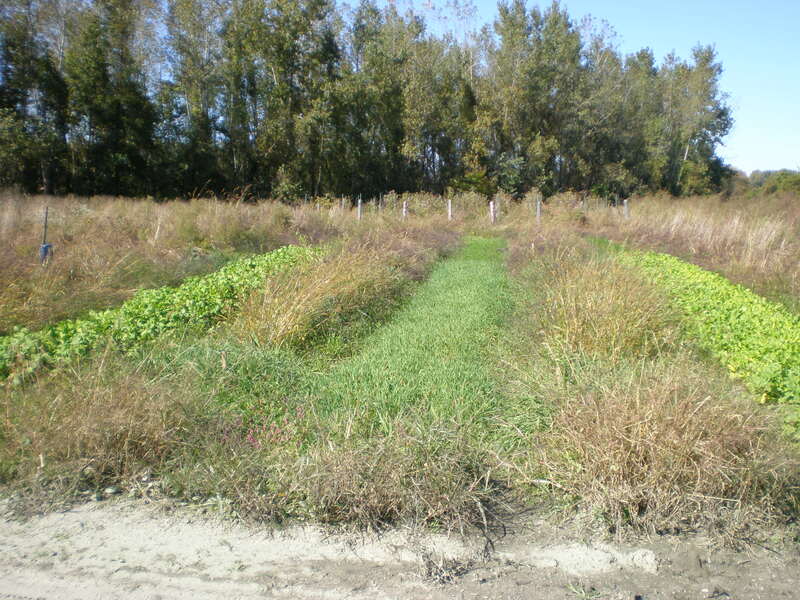 This plot of rye, vetch, radish, and lupine will show how a cover crop cocktail can affect soil fertility. 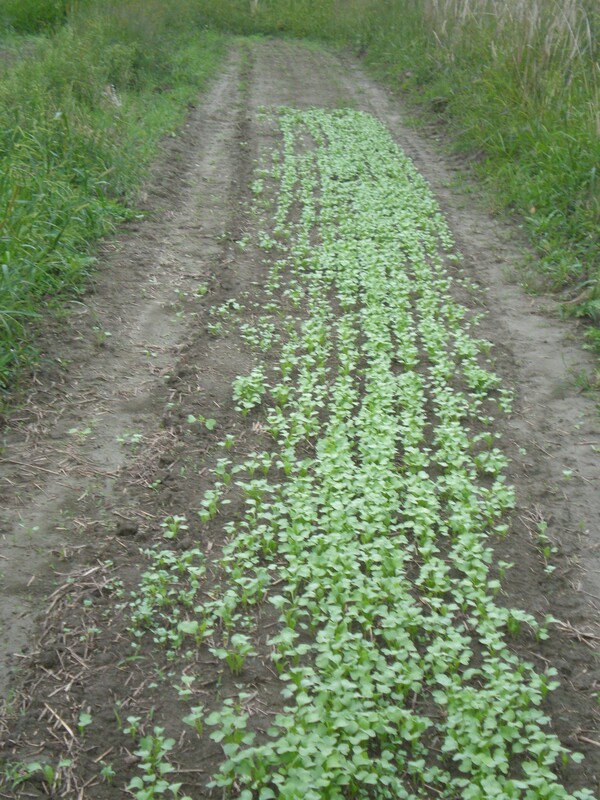 We will also be able to see how the different cover crops compete. Will rye dominate? Does lupine stand a chance? The following three images show what the plots look like next to each other. 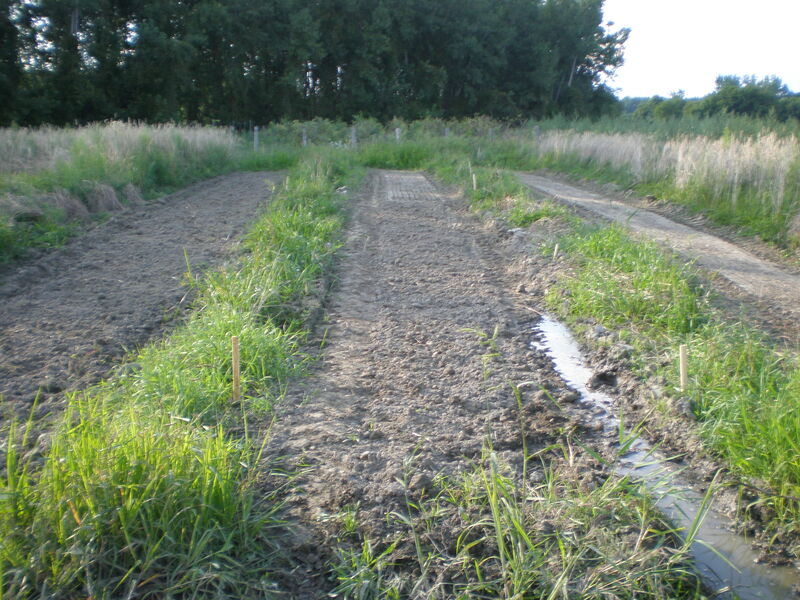 A buffer is on either side of the plots. Rye up front, Lupine in the back. 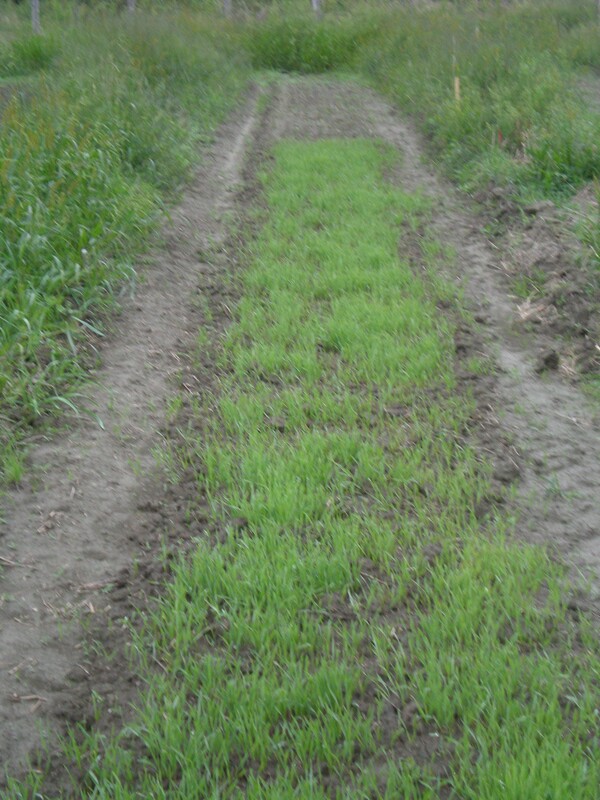 Here you see the sparsely germinating mix, followed by the fallow plot in the back. Posted in Cover Crop Blend, Experimental Design, Field Day, Forage Radish, Hairy Vetch, Lupin, Uncategorized, Winter Rye. There will be a field day to show test plots and reveal preliminary results. It will be on Tuesday, September 17, 2013 from 4:00- 7:00 p.m. at Adam’s Berry Farm and Arethusa Farm, followed by lite refreshments at the Intervale Center. More information to come. 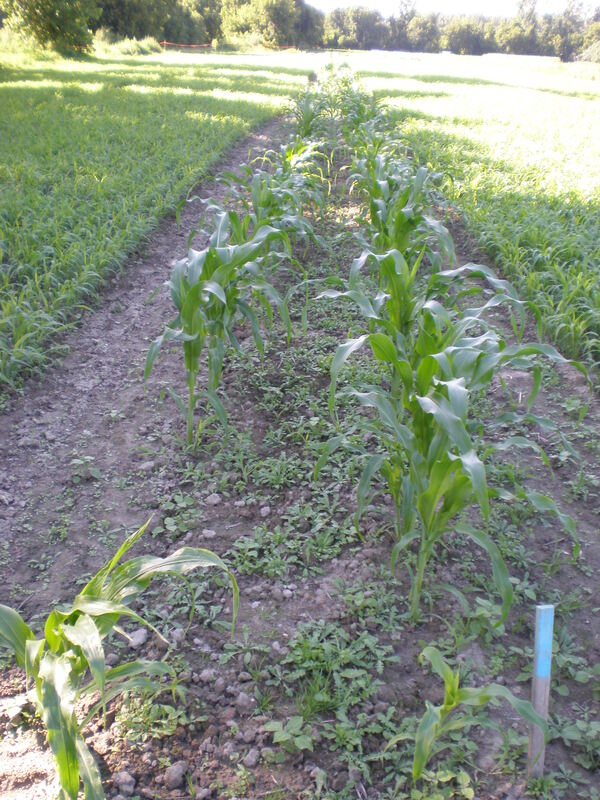 Arethusa Corn Plot before hoeing. No disease noted so far. 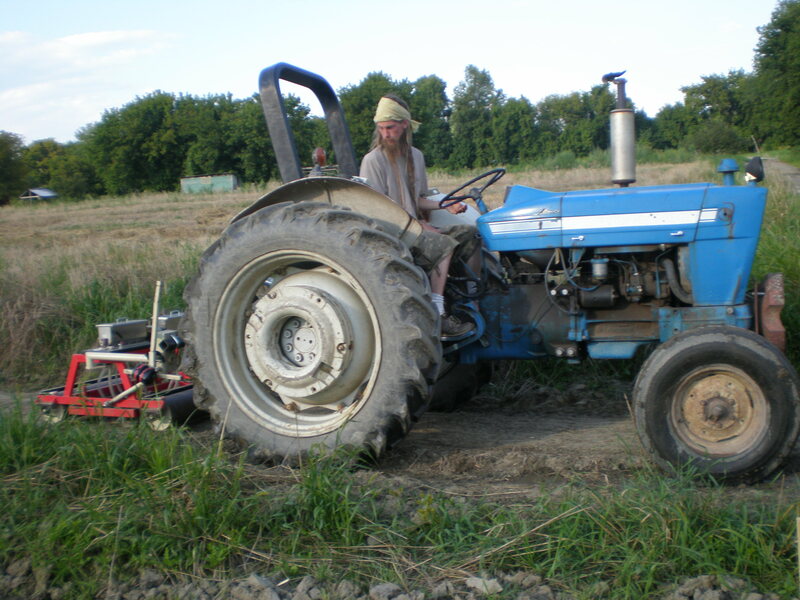 Jeff Philly of Arethusa Farm planting the second round of cover crops on August 16th. 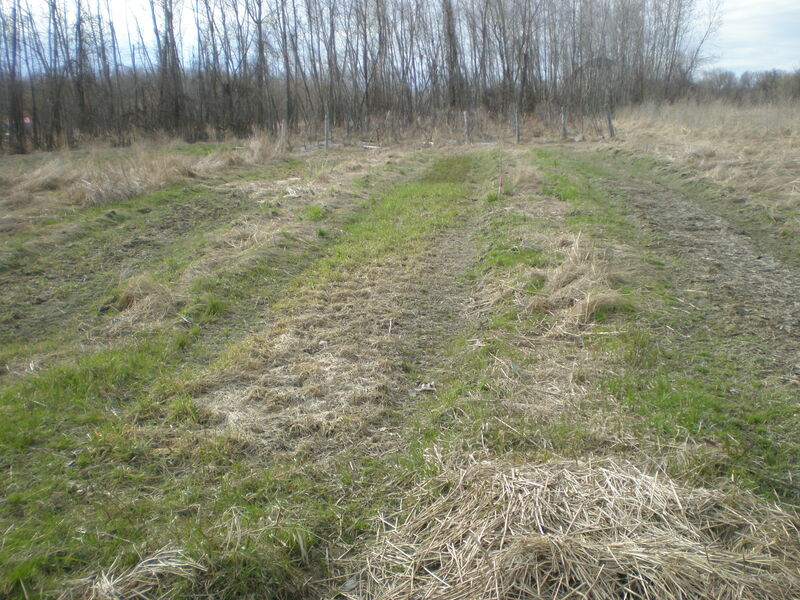 Adam’s Berry Farm research site planted with forage radish, perennial lupine, winter rye, hairy vetch, a mix of all four, and a fallow plot.